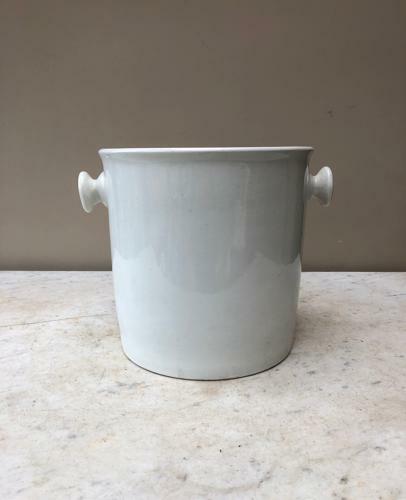 Edwardian White Ironstone Slop Bucket which makes a perfect Wine Cooler - Ice Bucket. Lovely clean condition, no crazing or staining - when you turn it round there is one small chip on the back at the bottom. Post is Parcel Force 48 for £15.